It is said that if you can dream it, you can make it. And this is how the Festival Deltebre Dansa began: with a dream. Since he started his studies and the artistic career as a professional dancer and choreographer, travelling has always seemed the only way out. But, ‘why should this be always like this? Perhaps I could reverse the situation and make people come to my land,’ he thought. Here they are, with a great event in our hands. It has been 13 consecutive years of hard work. What about the most challenging situation at the outset of the process? It was the venues. In any case, the challenge has ended up becoming one of the main attractions of the Festival. In every edition, the Festival carries with it an ephemeral city. An entire city of Performing Arts is created out of the blue in Deltebre, which is an idyllic setting at the heart of the Ebre Delta. And after 15 days of pure intensity as a capital of Culture, everything disappears again. Local people understand Performing Arts as an important tool that help people think and express. We have created a questioning audience. Any impressive people or stories you have encountered inside and outside of dance field, that you would like to share? Overall these years we have come across many impressive and beautiful stories both inside and outside the dance field. As an example, in 2016’s edition, one of the women’s associations of Deltebre gifted us with an artistic action. They had been knitting for months lots of metres of colourful fabrics in order to decorate the trees of the Festival’s Performance & leisure spaces. What do you believe, regarding the mission of Deltebre Dansa or performing arts? Dance is motion and motion is life. Dance is the most flexible way of communication we can articulate, a dialogue without words that is able to express it all. The great advantage of Performing Arts is its capacity to connect several fields in order to create new languages. And in this sense, the Festival Deltebre Dansa is working very hard to create a space where different disciplines of movement can be intertwined and create new forms. It is time to switch our attention from the pure disciplines to the mixed fields. As simple as seeing breakdance competitions on 70’s TV programs. But also getting mesmerized by movies like DIRTY DANCING or 80’s video clips of MICHAEL JACKSON and MADONNA. I only could think that those are REAL people… and I was wondering why not to try to be one of those who makes their passion and profession a way of living. Since I am a hard worker person … and a little bit stubborn… I made it happen after some years! Even if it sounds strange what I am going to say that is the truth: when I was a kid I lived a lot in the mountains, very close and merged to nature. Seeing certain natural beauty acting (rainbows, trees moved by strong wind, insects and animals doing their thing, rain and colours of the sky) gave me further more than inspiration, it gave me admiration for the beautiful things of life and seeing the world as a full option of possibilities. I feel merged with nature, and my inner nature is movement. I feel calm when I dance, I feel my mission in this world is taking place when expressing my feelings and emotions in this particular way. Festival Deltebre Dansa 2017, #nativenomad | Summary video about 13th edition from Vèrtex Comunicació on Vimeo. What’s your vision for performing arts for next five years? What would be the next coming innovation in your perspective? We are living nowadays a very strange moment. At all levels. I think something strong has to come from this general chaos. I am not sure what will it be the innovation in the future, but I know it doesn’t bring us anywhere positive to keep on feeding that selfish attitude accompanied of ignorance and little interest for other existing things. We should think differently if we want to adapt to the new changing conditions and to rebuild empathy and respect. Therefore works with lots of honesty, simplicity and sincerity has a lot to bring to the upcoming spiritual needs. Any words you would like to share with our audience? Of course. I would like to remind people that dreams can come true, but not magically. It is all a matter of hard work, persistence and thrill. 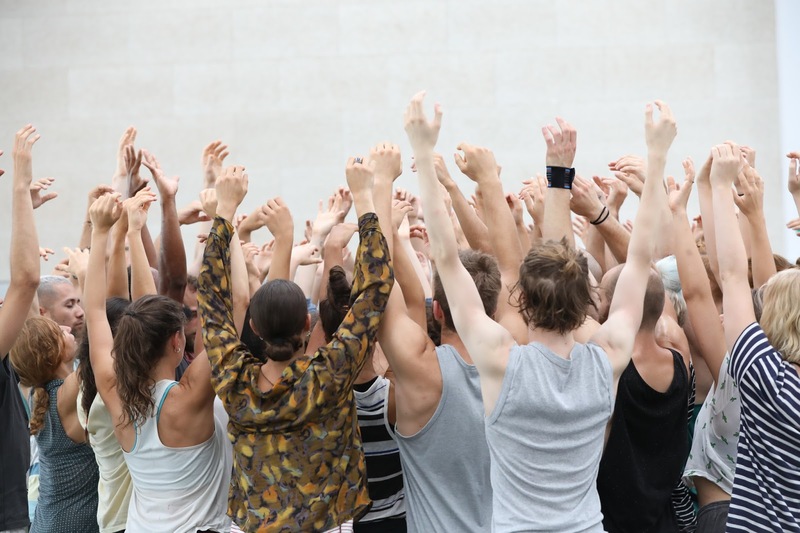 As an example, the Festival Deltebre Dansa is a project that reminds us that we must bet on that in what we believe because this is how we managed to transform a small dance workshop into an international festival of Performing Arts. For more information about Festival Deltebre Dansa please see the official website.